N.A.is a non-profit fellowship or society of men and women for whom drugs had become a major problem. We are recovering addicts who meet regularly to help each other stay clean. This is a program of complete abstinence from all drugs. There is only one requirement for membership, the desire to stop using. Big Bend Area of Narcotics Anonymous is located in North Florida's Panhandle and is comprised of Leon, Jefferson, Liberty, Wakulla, Franklin, Gadsden and Madison Counties. Big Bend NA has meetings in Tallahassee and Perry. 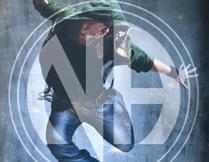 Narcotics Anonymous makes only one promise: freedom from active addiction. NO ADDICT SEEKING RECOVERY NEED DIE FROM THE DISEASE OF ADDICTION. Keep Coming Back No Matter What!